Are your debts out of control? Are you struggling to make payments on your credit cards? The decision to pursue bankruptcy protection is not easy to make. However, the longer you delay, the more difficult the issue becomes. Late fees, penalties, and mounting interest can make it impossible to keep your head above water. 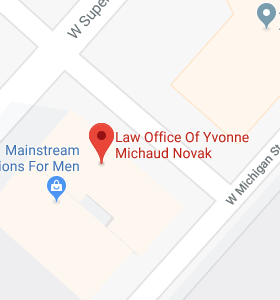 At the Law Office of Yvonne Michaud Novak, we understand filing bankruptcy is something you would rather not do. But, due to circumstances that may have been beyond your control, it may be your best option to avoid creditor harassment, lawsuits, wage garnishment, or home foreclosure. By carefully evaluating your present financial and legal position, I can help you determine if Chapter 7 bankruptcy is the right option to pursue in order to get the fresh start you deserve. We offer free, no obligation consultations and after-hour appointments upon request. We are conveniently located in Duluth, Minnesota, and serve clients throughout Minnesota and Wisconsin.